If the 53 million freelancing Americans agree on one thing, it's that their lifestyle gives an unbeatable level of flexibility, and can be an extremely lucrative working model. If there was a second thing the global freelance community might agree on, however, I would bet that it's the fact that managing your money as a freelancer can be a nightmare. 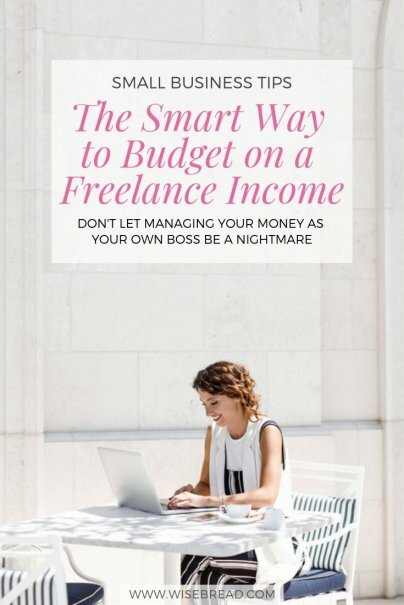 With income varying month by month, budgeting can be tricky — but having a solid budget is all the more important because of the normal fluctuations of income most freelance workers experience. So how do you go about setting a budget as a freelancer? The following steps can guide you. Before you can start creating a budget, you need to get a picture of how your spending looks today. Set a challenge for yourself to record all your expenses over the course of a month. This could be using pen and paper, collecting receipts, and then adding them all up later, or using one of these great spending tracker apps. Once you have some measurable data about your spending patterns, group different expenses together, and add in the known costs that did not occur during your test month. If you pay annual insurance premiums, or other annual bills, for example, divide the total by 12, and add that figure to your monthly calculation. The categories you choose will vary according to your lifestyle, but by grouping them like this, you have an overview — which is helpful if you later decide you need to trim the budget a little. Your goal now is to create a survival budget, and an ideal budget. The survival version is your baseline, and should not include any unnecessary costs. This is your worst case scenario information about how much you need to spend, even if there is a problem and you're out of work for a while. The ideal version can be much more relaxed — covering your preferred spending levels and any discretionary spending on hobbies and entertainment. Scrutinize your recorded spending by category. Remove any optional costs, and add the categories together for your baseline monthly budget. Once you have done this, you can put the fun stuff back into your budget — along with your preferred levels of saving, and any discretionary spending, like donations to charities. You should now have a monthly total for your minimum and ideal levels of spending. Now is the time to look at your monthly income. As a freelancer, this might vary significantly month-to-month, so taking your annual income and dividing it by 12 for an average can make the process easier. If you are more risk averse, or have little or no financial cushion at the moment, then you may choose to take your lowest month's income as your model instead of an average. How does your monthly income match up with your projected baseline and ideal budget? This exercise should give you a view of how realistic your figures are, but if your income falls below your survival budget, then you need to think about how you can make the numbers match. Are there other items you can remove from your budget, or can you reduce regular costs such as utilities or insurance premiums? Alternatively, can you bring in some extra income on top of your usual workload to help balance the books? Set yourself a trial budget, factoring in both your expected income and your necessary expenses. If it looks like you can be quite comfortable on the income you expect on a monthly basis, then go with your ideal budget. But if you're concerned, then try the baseline budget for a while to see how it works out. Whichever spending level you go for, pay yourself a paycheck to help you smooth out the ups and downs. You could do this quite literally, by billing clients to one account and transferring only a fixed amount to your main spending account on a monthly basis. Your aim is to even out your spending, so any additional income you make in a lucrative month can be saved, and added to an emergency fund or used as a financial cushion for periods when income falls. If you're able to earn enough to support your chosen lifestyle, then over time you will be able to create a financial buffer and build savings. If you use any extra income mindfully, rather than allowing your spending to creep up without noticing it if your earnings increase, then you can repeat the budgeting exercise as your personal circumstances and needs change. More of us are now working in a freelance model, and studies suggest that anything from 40%–50% of workers will be working freelance by 2020. With freedom-loving Millennials quickly becoming the largest segment of the working population, this is hardly surprising. But with the struggles faced by freelancers trying to budget effectively, the Gen Y trailblazers already reshaping the future of work now need to turn their attentions to planning their finances. How do you manage your freelance budget? Share your tips in the comments! First off thanks for the great article Claire! Really informative and loved reading it. Second, after I read this article and went to the link you had pasted about tools for expense tracking I came across some mileage tracking apps and as a freelancer that is just as important for me as tracking my receipts. The 2 apps i was using were Mileagelog+ and Everlance. For a few weeks now I have just been using Everlance since it was a little easier to use and had more features. I would love to hear your review on these kind of apps and let others know how important it is to track your mileage. Again thanks for the article, keep up the great work! Claire is a freelance writer, career coach, and long-time HR professional.